It’s not surprising to hear there is a shortage of doctors in Afghanistan but, crucially, it’s the lack of female doctors that impacts on women’s health. It’s culturally difficult for many women to be allowed to be treated by a male doctor, especially with gynaecological issues. This situation results in the deaths of many Afghan women and one of the highest rates of maternal mortality in the world. 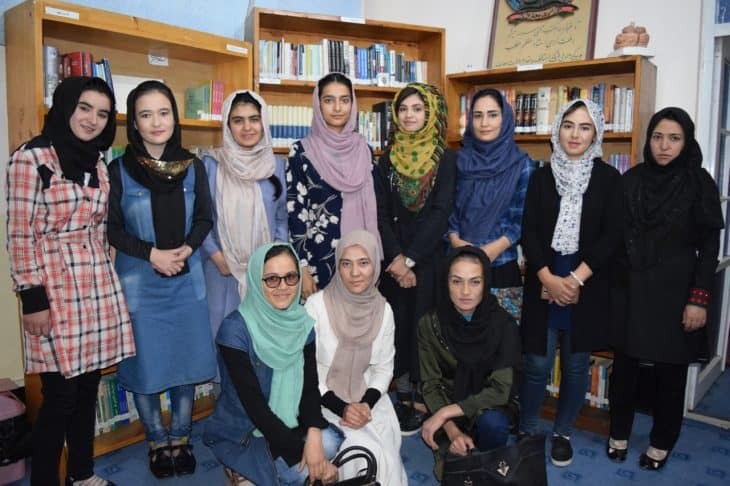 To address this, LNF has developed a programme of scholarships enabling Afghan women to study medicine for five years. Following the selection in 2018 of 12 new students from more than 170 applications, we now support 34 in total. The latest medical students to benefit from LNF scholarships. But there’s little point in funding women to spend five years studying if they are then unable to obtain good quality practical training. Recently, we have partnered with vol­unteer academics and medics from the University of Dundee and together we are investigating post-graduate practical training for our students and possible funding sources for such courses. The medical scholarship programme is our biggest commitment, currently costing around £33,000 a year. We certainly wouldn’t have been able to take on this level of ongoing expend­iture without the backing of 22 donors who have signed up to pay the fees of a student for the full five years. Each scholarship costs £1,200 a year for five years. Our target is 50 medical students so, if you or anyone you know might is interested in sponsoring a medical student, please get in touch by email or by using our contact form.